Conservation of energy is urgently needed and focusing on energy efficiency and building retrofits not only reduces our climate emissions but also creates good green jobs. With this PowerBC plan, B.C.’s official opposition is demonstrating that we can save taxpayer dollars while creating good green jobs and taking action on climate change. We commend the opposition for recognizing that clean energy can provide jobs for BC families while protecting our environment. In fact clean energy can support many more jobs than those in the oil and gas sector. A future with 100% renewable energy is 100% possible. However what goes unmentioned in this plan is also notable, specifically fracking and LNG. It is not possible to be a climate leader and promote fracking and LNG export. The plan outlined today is a much needed step in the right direction, however it needs to be part of a more comprehensive approach to addressing climate change. Incorporating a climate test into BC’s environmental assessment process, such that the upstream and downstream climate impacts are assessed for any given project, is key to supporting clean energy and transitioning to a post-carbon economy. The Site C dam is not needed, not affordable, and will put at risk our food security into the future. 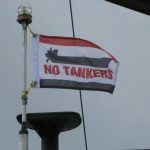 By not supporting this foolhardy project the opposition is showing common sense and a longer term vision of B.C.’s energy needs.